Save the Children has called on Scott Morrison and Bill Shorten to publicly commit – if they win the election – to bringing home the children of Australian foreign fighters in Syria. 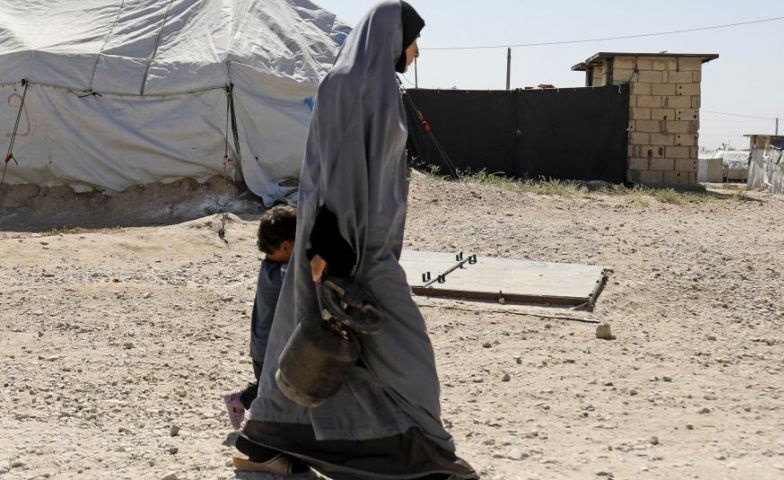 In a letter published on Saturday, the aid organisation demanded that the major parties pledge to “stop the war on children” and repatriate those who were brought to the Syrian conflict or were born there to Australians who chose to fight with Islamic State. “All children who have lived under Isis control have experienced horrific events – violence, acute deprivation and bombardment,” the letter said. “Many have lost loved ones. And now they languish in dangerous camps in north-east Syria, where children are sick and malnourished, and there isn’t enough food to go around. Save the Children’s chief executive, Paul Ronalds, said Australians needed to know where Morrison and Shorten stood, and “if they will act on their word if elected on 18 May”. “The shift in rhetoric from the leaders of both major political parties is encouraging, but words alone will not bring these children home,” said Ronalds. It is estimated that up to 70 children born to Australian foreign fighters are among the tens of thousands now in the displacement camps since the fall of Isis. Several families have been publicly identified, including the children and grandchildren of Khaled Sharrouf, who is believed to have died alongside his eight and nine-year-old sons in a US air strike in 2017. Morrison has said he is “not going to put any Australian life at risk to extract people from these conflict zones” but that the government would “cooperate” with efforts to get the children out if the families could make their way to Australian embassies – a suggestion rubbished by human rights groups. “Where they might be in a position to return to Australia, we will cooperate with that process,” he said this month. On Saturday, Shorten said his answer was “not a ‘no’”. “It’s not the children’s fault for what their parents did,” he told reporters. Shorten has previously said Labor would work with the government and security agencies, but suggested he would not leave the children there. The International Committee for the Red Cross (ICRC) works in the region, and has access to the al-Hol camp where the families are being held. Its teams are registering unaccompanied minors and working with other groups to find interim care arrangements and to reunite children with their families. The organisation is also prepared to act as a neutral intermediary between governments such as Australia and the local authorities in Syria to facilitate the return of their citizens, as long as everyone involved agrees to it. “Since the start of the conflict, the international Red Cross movement working alongside the Syrian Red Crescent has provided humanitarian aid to people now living in the Syrian camps and millions of others across the country,” the ICRC’s head of mission in Australia, Leonard Blazeby, told Guardian Australia.